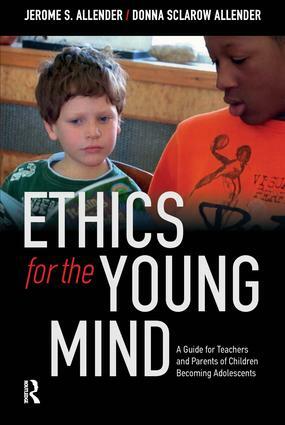 <i>Ethics for the Young Mind</i> is both a curriculum and a story. This book is designed to assist teachers and parents in their endeavors to educate young people about behaving ethically. Messy ethics, practical applications, and teaching ethics are the main topics. The book begins with a focus on right versus wrong and moves on to an exploration of combining rules with compassion. The authors explore what happens when right confronts a conflicting right, and the hard work of a meaningful ethical classroom discussion. The practical applications provided in the book demonstrate how to stop bullying before the social fabric of a community breaks down. Offering vivid classroom and real-life examples, the book works through the challenges and rewards of creating ethical classrooms and other communities—even at home. The authors address global concerns and the overall need for adolescents to develop a work ethic to have success in creating an ethical community.